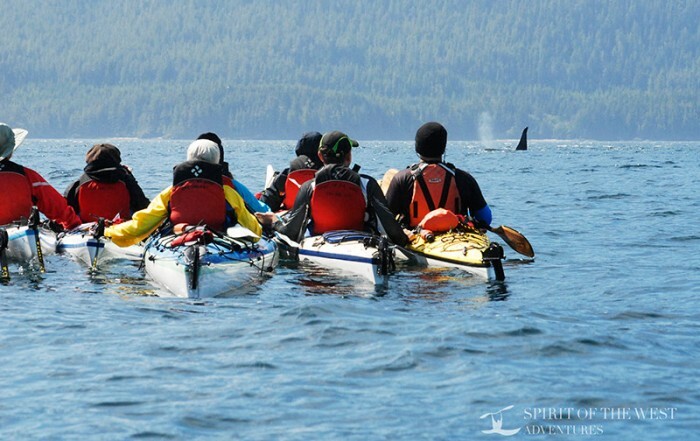 There are two large parks in Haida Gwaii, the former Queen Charlotte Islands; Naikoon Provincial Park on Graham Island in the north, and Gwaii Haanas National Park on Moresby Island in the south. Pure Lake Provincial Park is the the third and only other provincial park in Haida Gwaii, located between Masset and Port Clements. The are four trails running through Naikoon Provincial Park, and hiking time ranges from a few hours to a few days. The longest and toughest trail is the East Beach Trail. The trail runs 55 miles (90 km) from the Tlell River Bridge to Rose Point, a three- to four-day hike along mostly level terrain, with three shelters along the route. It’s recommended that you hike the trail south to north to avoid fighting prevailing winds. Hikers should carry their own water, as there is no fresh water along the route. Strong hikers can do the East Beach Trail from the Tlell River Bridge to Cape Ball River and back (8.5 miles/14.5 km one way) in a day. A second trail runs 3 miles (5 km) one way from the Tlell River Bridge and leads to the Pesuta, an old log barge that was wrecked here in 1928. Follow the trail along the bluff or along the river at low tide. Allow for two to three hours each way. Two trails start from the 109-metre high Tow Hill on the north side of the park. The first leads to the summit of Tow Hill, an easy 0.6-mile (1-km) uphill climb. From the top of this unusual basalt tower, the hiker is rewarded with expensive views of the ocean, Graham Island, and even Alaska away in the distance. Be cautious when the trail is wet. It is from Tow Hill that legend says the cruel Tow threw boulders to slay the Haida warrior Hopi. The second trail leads 6 miles (10 km) to Cape Fife on the east coast. Starting at the Hiellen Bridge, the trail takes three to four hours one way, following an old settler’s path through forests of spruce, hemlock and cedar. Carry water with you, as there is no fresh water along the route. From Cape Fife it is possible to hook up with the East Beach Trail, and hike a two-day, 13-mile (21-km) loop back to Tow Hill. 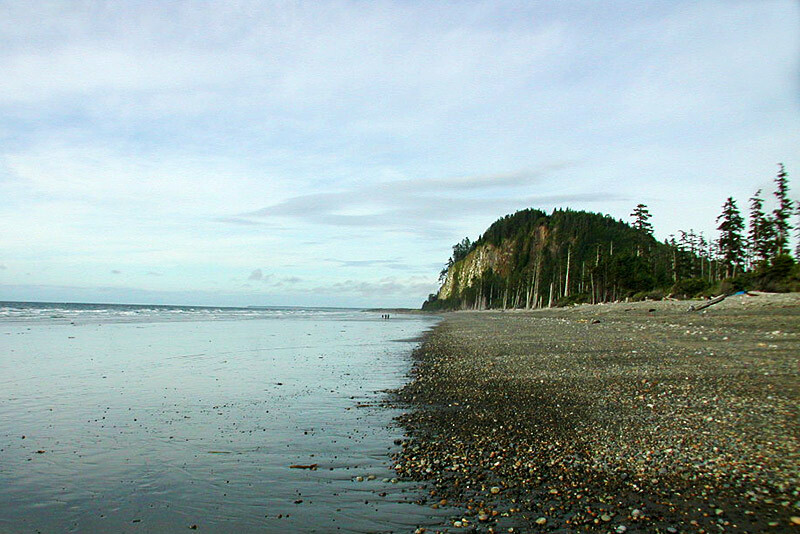 Hike the 10-km trail along North Beach to Rose Spit Ecological Reserve, but check the tides first! Be prepared for a very long day if you want to make it to Rose Spit and back in one glorious day. Rose Spit is a long finger of tidal sand on the northeast tip of Graham Island that experiences frequent strong onshore winds and wave action during winter storms, as evidenced by the profusion of driftwood logs cast ashore. Many of the Forest Service recreational sites on Graham Island, are located along beaches, with long stretches of open sand before your wandering feet. If level, sandy beaches aren’t your cup of tea, try the Sleeping Beauty Trail, which leads up to the top of Mount Genevieve near Queen Charlotte City. It’s not a long trail, but it is steep. To reach the trailhead, go north of the Forest Service office on 1229 Cemetery Road and follow Honna Forest Road for 3 miles (5 km). The trailhead is well signed. Allow 90 minutes to reach the summit of Mount Genevieve. For more information and directions, check with the Queen Charlotte Visitor Centre. Take a short hike to Yakoun Lake, about 15 miles (25 km) northwest of Queen Charlotte City, a popular freshwater fishing destination with a beautiful beach and a fabulous hike along Bellis Trail. Follow the backroads over the hogback ridge to Rennell Sound, where the rugged coastline, beautiful crescent beaches and excellent beachcombing, great hiking, fishing and kayaking make the trip very worthwhile. The beaches at Bonanza Creek and Gregory Creek are the easiest to walk to, about 10 minutes each way, and a 3-km/1-hour trail leads to Riley Creek beach. Over on Moresby Island, The Gray Bay-Cumshewa Head Trail leads 25 km from the end of the Forest Service road near Sheldens Bay along the shoreline to Cumshewa Head, one of the easternmost points on Moresby. You might not encounter another soul on the hike to the ancient village of Cumshewa and back, a two- to three-day trip one way. The trail, which passes through second-growth forest and follows the beach at places, can be very rough, requiring experienced hikers to be well-prepared. Day hikes are also possible to Sandy Cove, about a 5-hour return trip. From the first campsite at Gray Bay, there is a well-marked trail through old-growth forest to Secret Cove. The 1-km trail is marked from easy to moderate. From the Sandspit side of the Haans Creek Bridge the difficult three-hour Louise Dover Memorial Trail winds through second-growth and old-growth forest, including culturally modified trees – trees that have been altered by native people as part of their traditional use of the forest. Pink, chum and coho salmon can be seen in Haans Creek during the fall spawn, and steelhead trout spawn in the creek during the spring. There are no designated, maintained trails in Gwaii Haanas National Park. All hiking in the park is of the bushwhacking variety. It is easy to get lost, due to fog and density of forest, so hikers should have excellent compass skills and use a map and compass at all times. 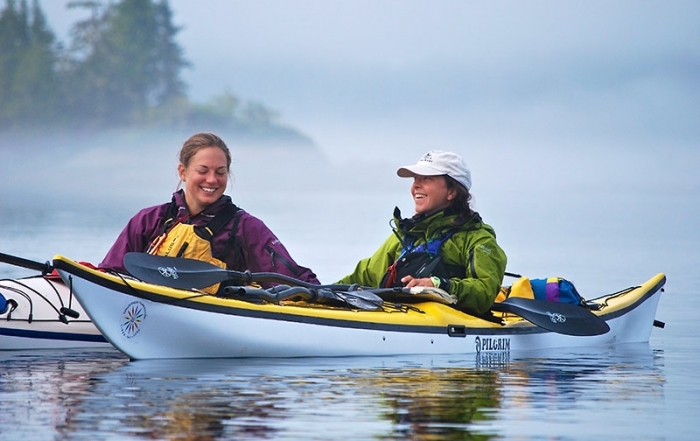 The exquisite and natural beauty of the Haida Gwaii (Queen Charlotte Islands) can be enjoyed by striking out on your own, or through the services of hiking guides available at the local villages.